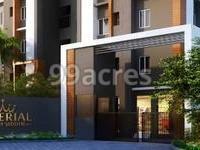 Imperial Riddhi Siddhi in Joka, Kolkata South by Riddhi Siddhi Group Kolkata is a residential project.  The size of the Apartment ranges in between 709 sq.ft. and 964 sq.ft. Imperial Riddhi Siddhi price ranges from 21.09 Lacs to 28.67 Lacs. Imperial Riddhi Siddhi offers facilities such as Gymnasium and Lift. This is a RERA registered project with registration number HIRA/P/SOU/2018/000199. Bank loan approved from HDFC home loans, ICICI, Canara Bank, Punjab National Bank, AXIS Bank LTD., LIC Housing Finance Ltd. and Dewan Housing Finance Corporation Limited (DHFL). The project is spread over a total area of 1.28 acres of land. Imperial Riddhi Siddhi has a total of 5 towers. The construction is of 4 floors. An accommodation of 148 units has been provided. The capital state of West Bengal, Kolkata is a land of rich culture and tradition. The city has witnessed rapid growth in the residential real estate sector ranging from affordable to high-end properties. The real estate players in this market are actively participating in this multi-core market. With the ongoing infrastructure developments in and around the different residential locales of the city, the demand for the housing units is increasing. Where is Imperial Riddhi Siddhi located? Joka, a prime residential locality for house seekers in Kolkata South. What size of flats are available in Imperial Riddhi Siddhi? The apartment sizes in the project vary from 709.0 sqft to 964.0 sqft. How much is area of 2bhk in Imperial Riddhi Siddhi? Two-room units (2BHK) in the project are available in an area of 709.0 sqft to 735.0 sqft. How much is the total size of Imperial Riddhi Siddhi?The project is spread over an area of 1.28 Acres. How much is price of 2bhk in Imperial Riddhi Siddhi? 2 BHK units in the project are priced at Rs. 2109275 to Rs. 2186625. Riddhi Siddhi Group is a premier real estate developer in Kolkata. In the business from a long time, the company has a vast experience in the construction and real estate development industry. It is committed to creating new benchmarks in the industry by delivering quality homes in an ethical manner. Through its prestigious projects, the company strives to transform the dreams of the customers of owning a home into reality and provide utmost customer satisfaction.